When it comes to having fun with your friend, this pair of moon bears named Bibi and Luna make it look as easy as falling off a log - or perhaps that should be a swing. 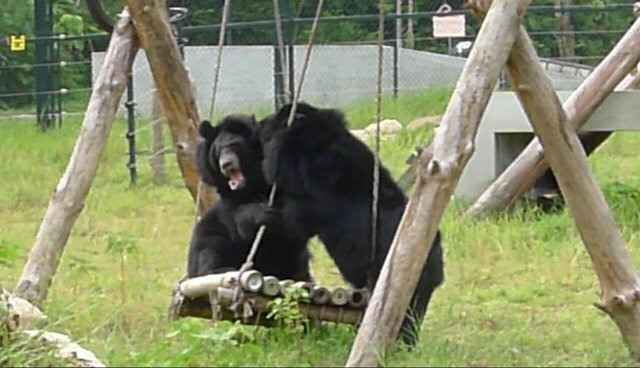 In a charming scene reminiscent of a school playground, these two furry friends at Animals Asia's Vietnam Bear Rescue Center play fight to gain control over the swing in their enclosure. The friendship between the two female bears has blossomed since they were moved into the same enclosure just two months ago. Bibi had lived with another bear named and Mary in a neighboring den to Luna, who lived with another bear called Caz. 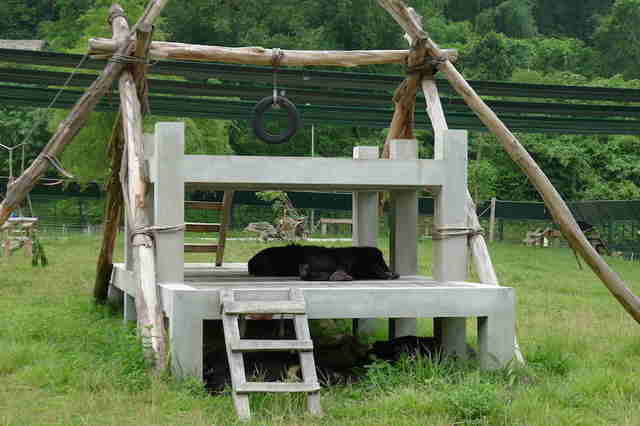 Recently all four were brought together in the same bear house. The four then became six with two more bears - Maple and Dolly - joining them shortly afterwards. Bibi and Luna's bond is beautifully captured in this footage shared by the pioneering animal welfare charity. Luna clearly thinks she can gain the upper hand when she approaches Bibi and tries to climb up onto the platform of the swing. But she's underestimated the strength of Bibi, who is determined to stay put. A few seconds of tussling ensue, and viewers are left holding their breath watching this battle of bear wills. But in the end, Luna's efforts pay off, when she pushes Bibi off and takes the title of sultan of the swing. But watch a little more closely ... did Luna really win this one? Did her strength and determination really result in pushing Bibi off? Or was Bibi having a little fun of her own - relishing the bear battle but in the end kindly letting her pal have a turn? One thing's for sure, Luna may have won the battle, but as for the war? Animals Asia's bear workers are pretty sure their tussles will be daily - building strength, fun and contentment for both bears. 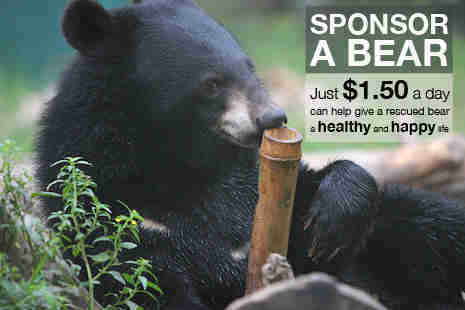 We hope you all have a swinging #MoonBearMonday and remember - don't be a pushover!